AUTHOR’S NOTE: I realize I switch between first and third perspectives somewhere in the middle of this article. It bugs me, as I’m sure it will bug some of you, but since I went into rant mode I typed ALOT before I realized it I now don’t feel it worth the time to change all the “you”s and “I”s. The point of the article stands regardless. Sorry if that bothers you. I like multiplayer games. I think we all do to some extent. Nothing beats the joy of sharing a fun activity with others, whether you’re working together or going head to head. Co-operative experiences are tough to ruin (certain local co-op experiences not-withstanding), but there exists a dead zone in competitive experiences where there is no fun to be found. A zone where despite, no…because of your best efforts at enjoying a game you find yourself unable to play or find joy in it any more. This article will recount my experience in this zone where, lately, my second favorite genre of game has become nearly unbearable to me. This is my story of a “better than average but not pro-level” fighting game player. Funny section title. Haha. But I can’t think of a more precise way to put it. So to explain how this happens and what it means let’s start from somewhere most everyone has been. Even if you don’t enjoy fighting games, I’m sure most of us have had that night where you’re just hanging out with friends and when you get bored someone turns on Super Smash Bros. or some new cheap XBLA retro-released game to kill time. You all goof around having fun spending the night button-mashing your way through round after round with the random chaos brought about by nobody knowing what they’re really doing providing all sorts of shenanigans to enjoy. You find that one friend who gets really good with spamming that one projectile and you spend the whole night trying to get past him. Or that one friend that accidentally discovers how to do a super move and won’t tell anybody else how to do it, so you all start ribbing on each other until someone else figures out how it’s done. I love those nights. It’s because of those nights that I grew to love fighting games as a genre. In fact, I loved the genre so much that I started playing those games by myself even after the nights were done. I saw that friend use that super move and thought it looked so awesome that I wanted to learn how to make that move hit all the time. I wanted to show up that lame-o who spent all night throwing projectiles so he could feel just as cheesed as the rest of us did. So I went in and practiced a bit. I learned a move that knocked them into the air, setting them up to get hit with the super move every time. I learned the timing on how to jump over or run under projectiles in time to hit them before they could escape. Come the next fighting game night, I would be able to impress all of my friends by showing the cool new things I’d learned. And it worked! That second night was awesome! Everyone asking “how’d you do that? !” and then I’d let them in on these simple tips and everyone keeps changing things up and having fun now only just kinda button mashing all night long. 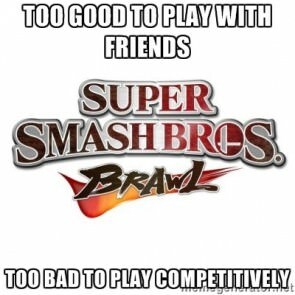 But unless another friend starts playing on their own as well, that second night is where it stops. I kept playing and learning cool things. I found a character I really liked, and learned a basic combo besides the one for the super move that you can do anytime with just normal attacks for lots of damage. I got so good at avoiding projectile spam that I could take that one friend’s strength as a player and use it against him, waiting for him to throw projectiles and spending the whole round just punishing him for it. It felt really good getting better and learning new things. I had stopped button mashing. But since my friends weren’t doing this along with me, they didn’t feel the same. To them, these were still just time-wasters when you were bored to goof around with and laugh at the chaos. But I had stopped it from being chaos. I had now become the guy who handily won every time I played. That wasn’t fun, for them or for me. Come the fourth night, nobody wanted to play the game again besides me. I was now the outsider of the group, and the one who had invaded on their good times. It wasn’t all bad, I’ll admit. We may have lost that one activity we could to when hanging out, but it’s not like it destroyed our friendships or anything. We still hung out and did other things, but I just became “the fighting game guy,” in the same vein that other friends in my circle get labelled things like “the science guy” or “the jock among nerds.” We may not play them together anymore, but at least I didn’t have to feel bad about still enjoying and playing them. But now I faced a new problem. So I could play the games to my heart’s content, but with who? It’s already been set that none of my friends are playing with me anymore. The joy of online gaming has made this patch easier to transition into, as you can always go online with any game and find a decent wealth of opponents. But online is a generally spotty experience. In games as tight as fighting games, even a tenth of a second of lag can destroy your experience, and you never really meet your opponents. They just come and go silently and facelessly, excepting the occasional hatemail. Nothing matches the feeling of having your opponent in the room with you. It’s just a more personal and involving experience, regardless of whether it’s the button-mashing chaos or shaking hands with a highly-skilled player after they’ve beaten you down over and over again. Have you ever been late to catching up on a really big and popular TV series like Lost, Breaking Bad, or Game of Thrones? Everyone you knew was talking about it, but you couldn’t care less so you’d sit in while everyone was talking about the latest episode and just tune it all out. Then when you finally got convinced to starting to watching it yourself, you get a season or two in and suddenly you can’t sit in on those conversations anymore. Now that you know things about the series you previously didn’t care about, the random character names and plot devices everyone’s dropping kind of make sense and you suddenly are no longer able/willing to sit in on those conversations because you care too much to tune it out but don’t want to risk even a hinted spoiler being dropped by the people who are up to date. Well that’s what going to your first truly competitive gaming event is like. You may have been the best among your friends, but only because they didn’t care. Now that you’re “two seasons” into the knowledge of the game meta, you suddenly realize just how far behind you are when someone “up to date” on their practice starts playing. You can do a few combos and avoid projectiles, but do you know what a plink is? 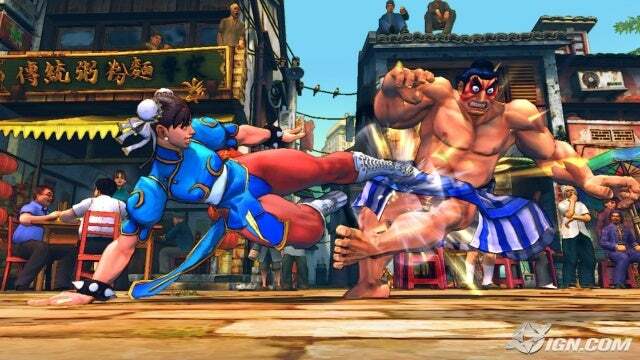 Or a kara throw? How about spark jumping or wavedashing? People are saying things that have no meaning to you, and yet when you watch them play you see something there that you don’t have. Some bigger picture of the game as it should be. A finesse on the controls that is tempered by something other than training mode and computer-controlled opponents. You realize that the title of “the fighting game guy” is woefully misapplied. You aren’t good at fighting games. THESE people are. You may be better than the average joe, but who do you think you are joining a tournament when you’re still this green around the gills? At this point, things are actually exciting. You thought you were good, but now there’s so much more to learn and practice! So many new avenues of play to experiment with and refine, pushing your game even further. Time to get home and get practicing! Pumped and interested, you get home and boot up training mode, ready to look up and figure out some of these mystical new techniques you’ve heard of from the pros. You read up what all of those foreign-sounding terms being used mean and read or watch a video guide on how to play your favorite character more effectively. You realize there’s all sorts of things you could be doing now that seem so simple. “You just add this one move into your normal combo for a bit of extra damage” or “you just hit the same button twice really fast to make it more likely you’ll hit your opponent in time.” So you go in and you practice. If you’re naturally good at these things, this is where the article will lose you. You’ll figure out all these little tricks and soon enough have them integrated into your play while you make your way to competitive stardom. Most of us, though, have a problem feeling the timing of 1/60th of a second, or moving our fingers fast enough between attacks to accommodate that kind of precise timing. “Eh, it just takes practice,” you’ll say to yourself. And that right there is final piece to the problem. Most of us only have so much patience for sitting in training mode beating on dummies while we practice the same combo that relies on incredibly specific inputs again and again. A lot of us won’t ever really get that level of specificity in our inputs comfortably. So we get tired of trying in training mode and decide to go online and try things out against real players. After all, you’ve seen the good players and know enough about the game to know when you’re ready to take them on, so you’re holding out going to tournaments against other players until you’re better. So you’ve come to terms with the fact that you won’t be able to tangle with the best of them. Statistically speaking, we can’t all be in the top percentage of players. But now what? The only reason you looked to the competitive scene in the first place is because you have nobody else to play with since your friends all decided to drop out of the genre. But now you can’t play with the competitive players because you aren’t able to keep pace with them. You are now in purgatory. Your only refuge is playing online, where players from all ranges of skill exist. But that brings back all the problems of online play; lag preventing you from having completely honest games, the lack of a sense of community having your opponent there with you. But now you notice a new problem, and that is that most games fail to appropriately measure skill. Sure, they’ll have some kind of points system that keeps track of how often you win and lose, but some games don’t have the option to only search for opponents of similar amounts of points as you, and the ones that do tend to be horribly skewed. Like they say on Who’s Line, the points don’t matter. You’ll find yourself thrown against players who are leagues ahead of you in skill regardless. Heck, some players who are good intentionally start new accounts to beat up on new players with no points, so even having no points is no guarantee of a decent match. But you’ll still find that one good match out of a hundred where the opponent has a great connection and it was a back and forth bout the whole time. You’ll add these people to your online friends list and think that it’s those rare gems of a match that keep you playing. But then, after so many months of having only a few decent games even that will stop feeling so good. The purgatory of middle-skill has now started washing out not just your choices of opponents or where you play, but your very interest in playing. “Those matches are great, truly. But it’s starting to feel like all the crap I have to put up with to find them isn’t worth it.” Some people stay in this state forever, continuing to trudge along holding onto that one glimmer of joy the game gave them that got them to pull ahead of their friends in the first place. Some people will take a break, and leave the game for a long enough time to miss it and come back out of curiosity later on. And some will just stop playing. Right now I’m personally somewhere between “trudging along” and “taking a break.” I love you Super Street Fighter IV: Arcade Edition and Street Fighter x Tekken, but you’re wearing me thin. If you related to this article at all, my PSN is Reaperfan. Maybe we can be kindred spirits in the purgatory of middle-skill. You can read more general interest articles here. I can see what you are saying though I have never run into this issue but that’s probably because I’m not big into fighting games. Then again there are plenty of other games that can run into these problems. Aww yeah. I’m feeling it. Purgatory isn’t so bad with shooters, but don’t expect me to be weapon swapping or twitch toggle breaking in Dark Souls anytime soon.